♦ ප්‍රථම වතාවට සාකච්ඡාවක නිරතවූ දෙමළ දේශපාලන පක්‍ෂ! ♦ ධීවරයින් 06 දෙනෙකු අත් අඩංගුවට! 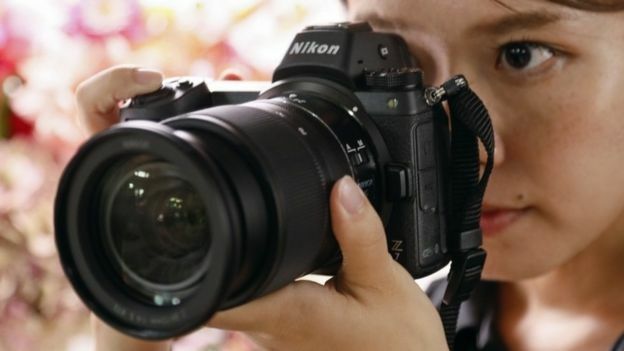 Nikon has unveiled its first full-frame mirrorless cameras, which are targeted at photography enthusiasts and professionals. The much-anticipated launch poses a challenge to Sony, which has had this segment of the market to itself. The move allows Nikon to make high-end cameras less bulky than before and provides an opportunity to develop new types of lenses. But downsides to the technology include a greater toll on battery power. Many industry watchers believe the move is critical to the Japanese firm's future, at a time when smartphones have decimated demand for fixed-lens compact digital cameras. Sales of mirror-based DSLR (digital single-lens reflex) cameras have also been weakening. "Increased competition among mirrorless cameras will lead to greater credibility for the segment, wider consumer awareness, increased support from retailers and affordable prices, which will ultimately benefit consumers and professional end-users," said Arun Gill, an analyst at the consultancy Futuresource. High-end cameras have traditionally featured a mirror in order to bounce light up into the viewfinder. This allows the user to see through the lens when composing a shot. By contrast, mirrorless cameras use a digital viewfinder. This frees up space inside the camera body, allowing it to be more compact and providing more room for sensor-stabilising technology and other electronics. Digital viewfinders originally could not match optical equivalents for quality, but higher-resolution displays have narrowed the gap. However, their requirement for power means mirrorless cameras tend to take fewer photos before requiring a battery change compared with DSLRs. Nikon previously experimented with mirrorless technology in 2011. 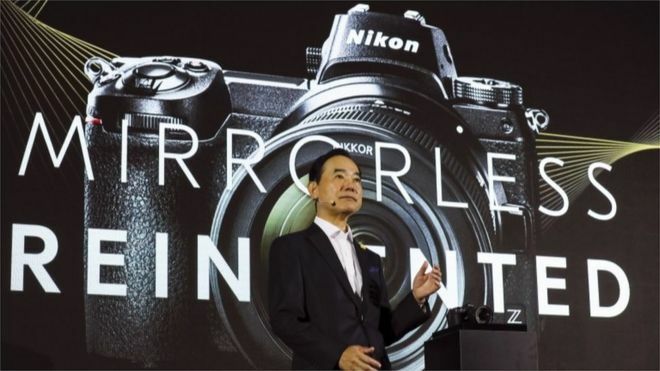 But the new Z7 and Z6 mark the first time it has combined the innovation with a "full-frame" imaging sensor, which is the same size as 35mm format film. Having such a large sensor helps capture more light, making it easier to take images with a shallow depth-of-field and aiding low-light photography. a quieter camera, since there is no need to flip a mirror when taking a photo. This is useful when taking photos at weddings and golf tournaments, for example scope for manufacturers to improve burst modes, in which several images are quickly taken one after another reducing the weight of the camera One of the trade-offs is that existing DSLR lenses cannot be attached without an adapter, because there is a smaller gap between the mount and the sensor. 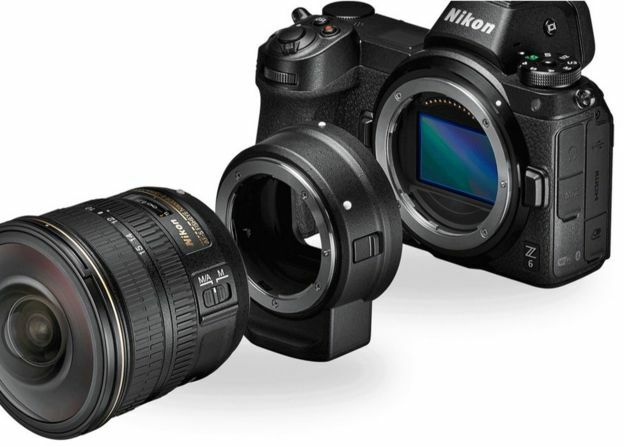 Nikon will sell an adapter to work with existing F-mount lenses - but, in some cases, owners will lose the ability to use autofocus and auto-exposure with third-party units. The company has, however, announced three native lenses for its new Z-mount system and says a further six will come in 2019. And it has said that because the new mount has a larger diameter than before, it can develop new kinds of high-performance options. Among these will be a 58mm f/0.95 lens, which, it says, will be the "fastest in Nikon history" - meaning a very shallow plane of the image can be placed in focus, with any objects behind and in front made blurry for artistic effect. Both cameras shoot 4K video at up to 30fps and feature a touchscreen that tilts but does not fold out, meaning vloggers who film themselves may need a separate monitor. They use the XQD memory card format for storage. 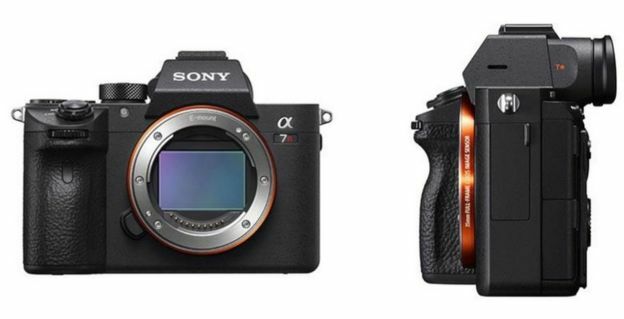 The Z7 is higher resolution than the A7RIII and has more focus points as well as a slightly bigger touchscreen. But it is £500 more expensive and heavier. The Z6 can take more consecutive photos in burst mode than the A7III and has a much higher resolution viewfinder. But Nikon's camera has less than half the number of focus points, is heavier and is £100 more expensive. Sony also benefits from having a much wider range of native lenses made by both itself and others. In addition, Sony's cameras feature two SD card slots. This means they can use much cheaper storage and let owners choose between creating a back-up of each image for peace of mind or saving photos and videos to different cards. "In terms of specs, Nikon has been very competitive and it feels like it is taking this category seriously," said Jon Devo, co-editor of the news site Gadgetsboy. 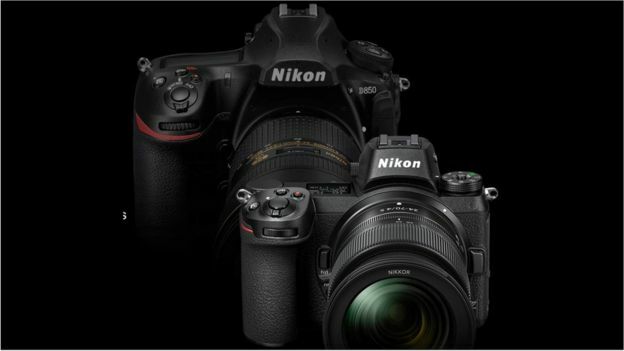 "Nikon has admitted the Z7's sensor is superior to that in its own D850. And for it to challenge its own DSLR flagship is a very bold step. "But the Z7's price and its lack of a dual card slot in particular are the biggest issues it will face when it comes to adoption." He added that Sony was believed to be the manufacturer of Nikon's sensors so would benefit from the new kit's sales anyway. Attention will now switch to Canon, which is expected to launch new mirrorless cameras of its own over the coming months. Its existing M series allows owners to swap lenses but does not yet include a full-frame model.